Instructional climbing allows campers to learn new skills or develop existing climbing skills. 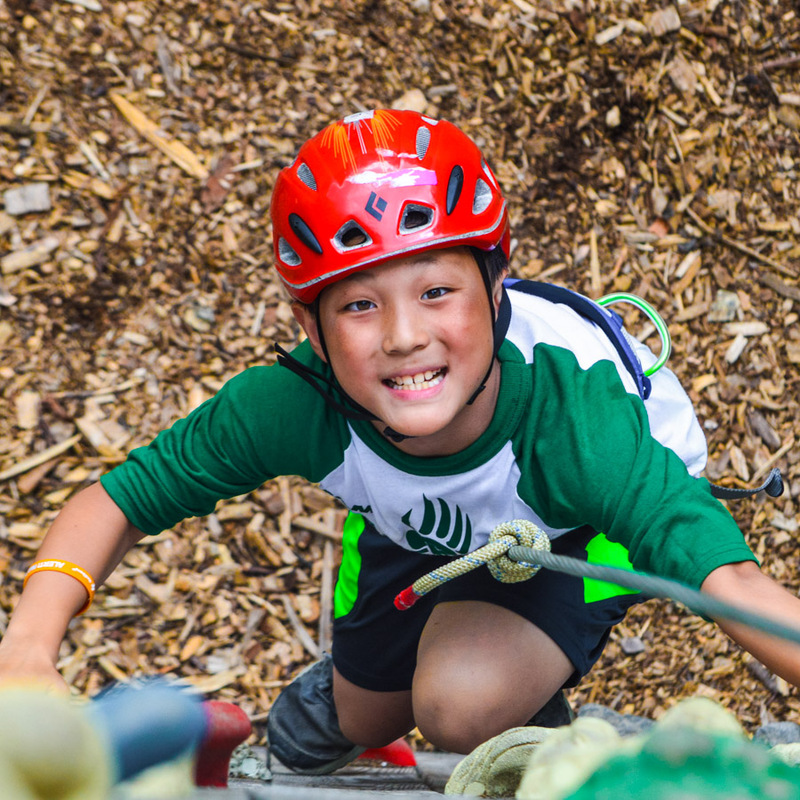 Boys that have a special interest in rock climbing can join for the MKN climbing team which attends competitions with other camps around the Berkshires. 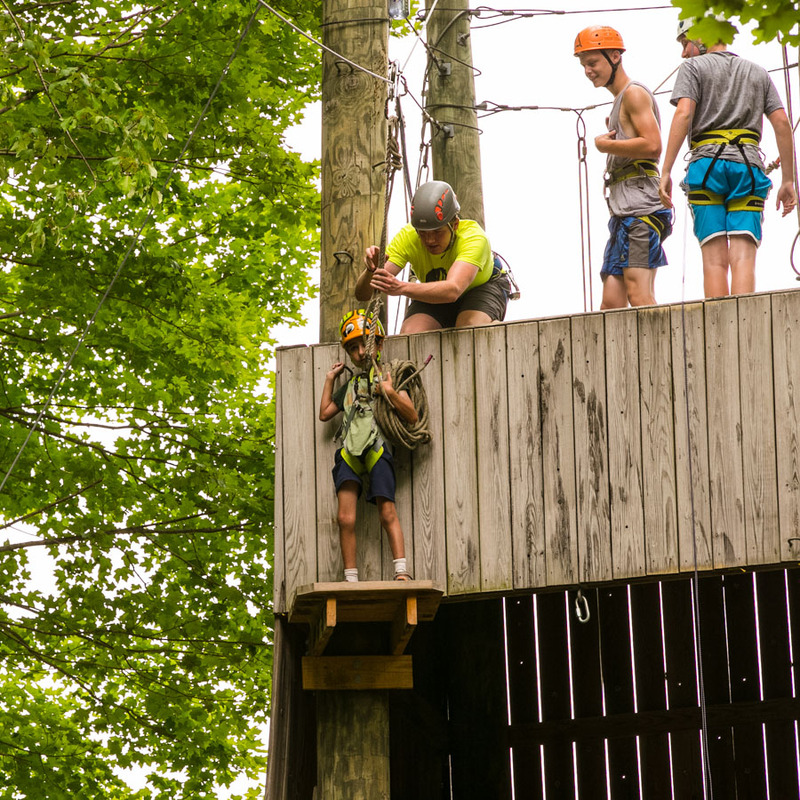 All campers have a chance to come to MAK Adventure and conquer their fears – whether that’s reaching the top of the climbing wall, tackling the high ropes course or swinging down the zip line. Nature sessions take place onsite in our woodlands or vegetable garden by the waterfront. Campers learn the basic survival skills that they will then be able to develop further in Survival Training sessions. 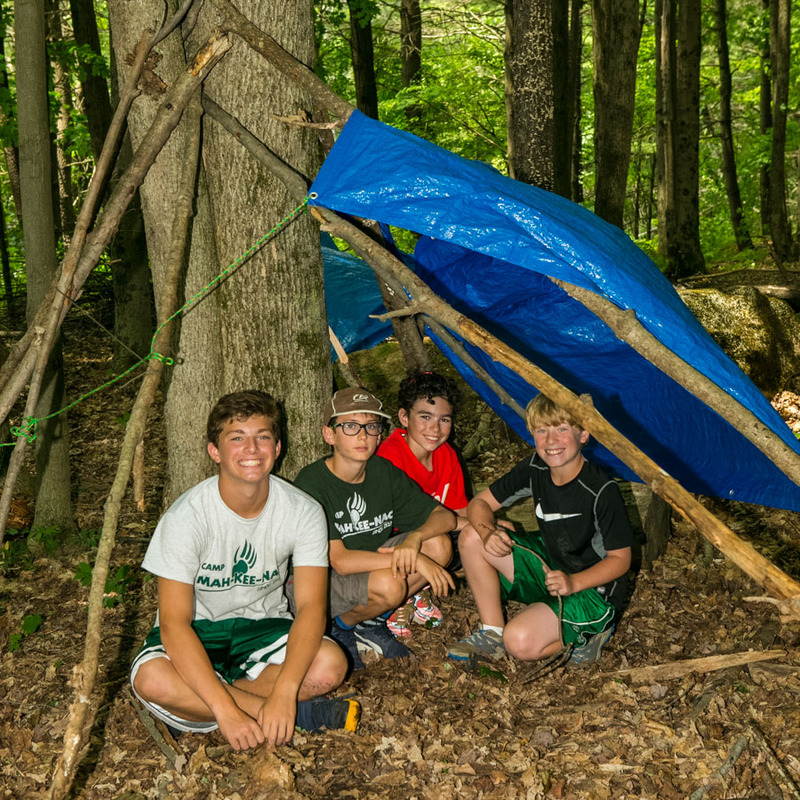 Survival Training gives our older campers more in-depth survival skill instructions. The taught skills include how to build a fire for cooking versus keeping warm, how to prepare and cook food on an open fire, and how to set up a camp and build a shelter in a survival situation. 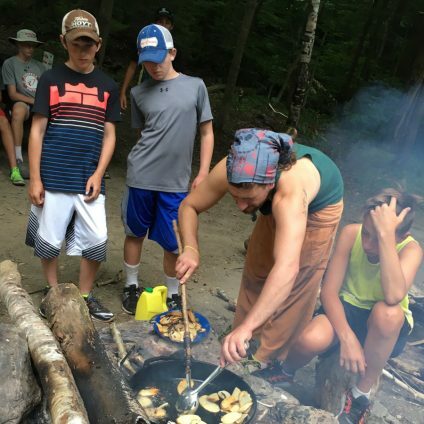 The campers that attend these sessions have the opportunity to go on a supervised, 24-hour Survival Island trip to an island in the middle of our lake. These campers understand the basic essentials of survival and this activity offers them a strong feeling of independence and confidence. 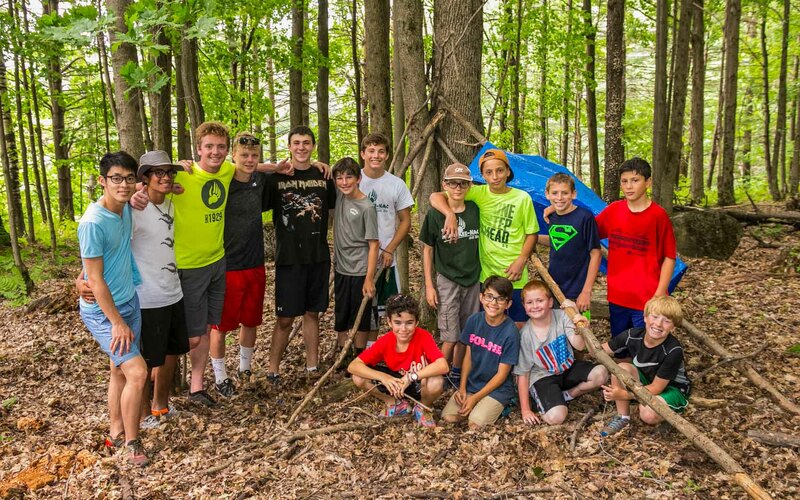 Campouts are hosted weekly during the summer for our Junior campers. During the campouts, our full low ropes course is put into use. The course provides a great opportunity for the boys to test their teamwork and communication skills. Whether it’s figuring out the best way to get the whole group through the spider’s web or conquering the up and over, the low ropes are great for getting the boys to work together to come up with a strategy. After the course, the bunk sits around the fire and enjoys their dinner together. Then they spend the night under the stars in tents. Weekly hikes are also offered to each age group on camp. Junior camp hits the local trails near Mah-Kee-Nac for shorter, half day hikes. Our Lower and Upper Seniors experience longer, full day hikes at Lenox Mountain and Mount Greylock. Our Upper Seniors also have the opportunity to attend overnight hikes.